Eating Gluten...??!! 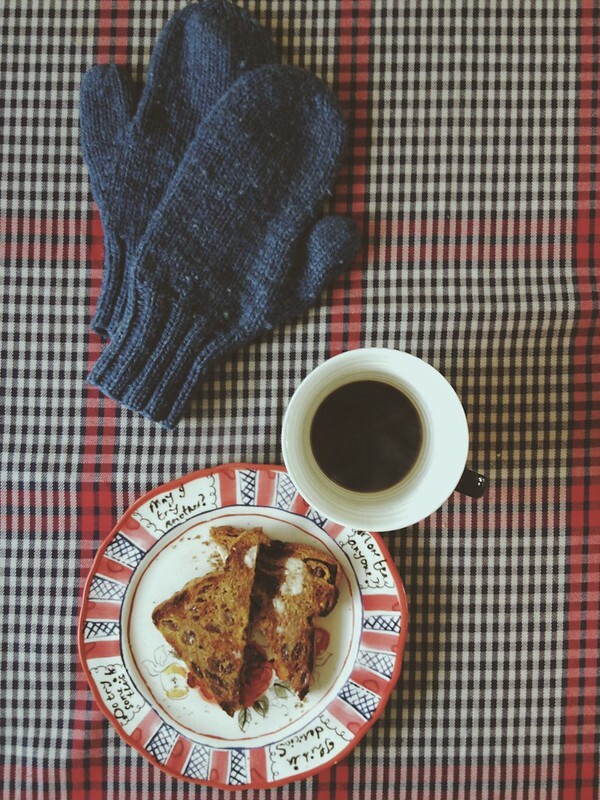 | Anna Allen Clothing Blog: Eating Gluten...??!! As I type this blog I am sitting next to a slice of toasted sprouted grain bread slathered in butter (fancy organic butter!) and I'm about to take a bite. Most people might not really think it's a big deal, but I have not eaten gluten for about 4-5 months now and I'm a teeny bit scared to try it again after so many months without it. When I went off of gluten, it wasn't because I was diagnosed with celiac disease or gluten intolerance, it was something I decided to try in an attempt to figure out what was causing patches of itchy eczema under both my knees. Well, they have not disappeared, although I will say they have gone down quite a bit. They still flare up especially, I've found, at "a certain time of the month" and I also think they tend to flare more when I eat lots of sugary things, but who knows. I've also cleaned up my diet considerably since the summer (focusing on non-packaged foods), so that could have something to do with it not flaring quite as much. So anyway, I have had this loaf of Ezekiel sprouted grain bread in my freezer for awhile now (I got it for when my grandma and parents were visiting) and just decided I'm going to eat some and find out if I react to it. I'm going to start by eating one slice today, but no other gluten for the next few days to see if I react. If I don't react, I think I am going to try plain old bread to see if that does anything to me. The thing is, I really don't like giving up gluten completely. I am very glad I did decide to give it up, however! I didn't think it would be easy, but it turned out to be one of the easiest things I've ever given up. I like that now I don't rely on gluten filled meals or the need for a side of bread. Jed doesn't really like bread anyway (I never could understand that)! But it's Christmas time and I miss baking cookies and things like that. And gluten free flours are so expensive. I think if I find I don't react, I'll still keep bread to a minimum and probably rarely order it when eating out. Perhaps just keep it for more special occasions. I also want to try making sourdough bread, but decided to wait on a starter until after Christmas. I'd hate to start it and then leave it for weeks while we are away on vacation! I've experimented with several different "diets" or eating habits since the summer. From Paleo to Primal to "Real Food." And through all that, I have found there is no special "diet" or way of life that is superior to the other. Some people do wonderfully on those diets while others don't notice much change. I also think worrying too much about food is a recipe for disaster. I am so guilty of this! I think that there must be one way of eating that will make me look amazing and then I won't ever have to worry about eating or counting calories again. But it just makes you worry more, because you have even more restrictions to follow and you have to worry what to eat when you go on vacation or to someone's house. If you can't tolerate a certain food, that is one thing, but to be told not to eat certain foods because apparently some caveman didn't eat it is ridiculous! I DO think, however, that eating "real food" as apposed to packaged foods is ideal. But I don't think it's necessary to go crazy with this. I get so sick and tired of people using scare tactics to get people to eat or not to eat a certain way and that is just not a good way to live! I read an article about Donna Reed once where she was telling her "secrets" about her diet and lifestyle and she mentioned that she really believed that you shouldn't deprive yourself of things you love, but to keep it in moderation. Everything in moderation, I still believe that is key! Anyway, I'll let you know how it turns out! Are you gluten free or have you considered cutting out gluten from your diet? Do you think what I'm doing is crazy? If you are curious how my experiment goes, check back here in this space. I'll write an update on this post if anything happens! Update 12/16/13: Well, it's been about 3 days since I posted about eating gluten. So far, I don't really feel any bad symptoms of eating the sprouted grain bread. And I went even further yesterday night...I had a pastry. Yes! I know, not the most healthy decision to make whether or not I can eat gluten. But I had one and nothing has happened thus far. I'm not going to make a habit of this, but if I can eat it once in awhile, it's nice to know I won't blow up like a balloon and break out in hives! I'm planning to make Christmas cookies with Jed this week. I may or may not partake. But I probably will...!!! You sound exactly like me... if gluten and sugary things both bother you, look into the candida diet and try eating lots of foods with anti-fungal properties. Hi, Lauren! Have you tried the Candida Diet? I've read a ton about it, but am hesitant to start yet ANOTHER diet. Right now what seems to have been the most help ever is taking probiotics and especially including a saccharomyces boulardii supplement. That stuff is the bomb! I've been gluten free for just about 4 years now and it's cleared up all sorts of health issues in my particular case. In my experience, elimination diets are a wonderful way to determine which foods work for you or don't work. That's how I ended up going entirely gluten free after getting tired of all the failing western medicine. I love to cook and bake - so transitioning to doing those things gluten free was a good challenge that is now just part of normal life. So no, you're not crazy at all! Seems like you're taking a good proactive approach to finding what works or doesn't work for you. I actually try to live my life on the candida diet and taking probiotics is part of it. I don't want to get into the litany of my unpleasant symptoms on the www, but I have digestive and skin issues (also cycle-related) and after a year of experimentation, anti-candida has worked the best for me. It's not very different from Paleo, really. And like all of these "diets" there's no one way that works for everyone - it's really more about figuring out exactly what bothers you and avoiding/substituting as much as you can. Even if you're not into starting yet another diet, I would say at least take a look at the literature surrounding yeast and fungal issues in the body and see if they ring true! You may be persuaded by how dead on they are, which is how I mustered up the courage to give it a go! That is encouraging that the Candida Diet has worked for you. I'll definitely research it through again. I have often thought just going on an elimination diet would be useful. I definitely do believe my issues must be related to fungal issues because I used to put 2% clotrimazole (the 3-day yeast cream) on my knee rashes and that helped a lot. But never cured it, which is why I decided to change my diet instead. Anyway, it's all a journey to figure out what works best. Hopefully someday I'll get rid of it completely! At least it's not as much of a bother as it used to be! I had to go on an EIimination diet due to a skin reaction in my ears, just like u on your knees. That was hard, as it's hard to pinpoint. I then did a food sensitivity test and wow... Turns it I have several food allergies and sensitivities - eggs #1... I totally stay away from them. Dairy and wheat #2... I stay away but indulged once in a while...I feel so nervous when I do though.. Awful feeling. But I don't really get itchy ears anymore...so that is good!! Anna, my daughter was getting horrible eczema outbreaks until I cut out dairy from her diet. As soon as she stopped eating dairy, the rashes went away. Anytime she eats dairy, they come back. Hope this helps! well, this is a really belated comment, and I don't know if you'll even see it, but egg allergies (true allergies) in adults are actually very rare. They're far more common in children, the vast majority of whom outgrow them before puberty. With egg allergies, the body fails to produce the enzyme necessary to break down the egg's protein. When an allergic person eats eggs, the effects are almost immediate; it's like having a violent intestinal or stomach flu and it lasts for several days. But if you're still suffering from eczema, though, it might be worth getting a full allergy battery done. You could find out, once and for all, if your diet (or other environmental conditions) might be causing it. For example, my sister-in-law suffers from eczema on her eyelids (yikes!). She finally had a full allergy battery done and learned that she is allergic to the entire nightshade family - so, tomatoes, eggplant, potatoes, peppers ... all of them trigger her eczema. Crazy, right? I never would have thought that such an allergy even existed! Anyway, just an idea - it might good just to know for certain! Thank you so much for writing! I think that would be a good idea to get tested. I hate going to the doctor's, which is why I have been putting that off. But I think it would be good to find out once and for all if there's something I'm actually allergic to. I have heard of being allergic to nightshade vegetables and sure hope I am not allergic to them!! But it's definitely a possibility. That's great to know about the eggs. I decided not to cut them out because I don't have any issues with them and they are my favorite food to eat for breakfast. Recently I started eating gluten again on occasion and my left eyelid started swelling up. I was really starting to wonder what was going on until one day I ate a bunch of gluten and in about 20 minutes my eye started to itch and I looked in the mirror and sure enough my eyelid had begun to swell. So frustrating!! So I cut out wheat/gluten again and it went down by the next day. How frustrating - and what a bummer! I *love* gluten. I'd be so sad if I had to give it up.